If a musculoskeletal problem does occur with your employee, their spouse or their dependent, you have a choice! You can continue along the same path and be impacted by the problems with the current system or you can adopt the innovative solutions developed by Health Connections Enterprises. 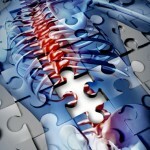 We understand the musculoskeletal system and, therefore, get better results! 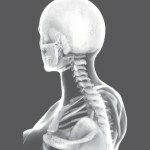 Health Connections Enterprises has three primary ways of impacting the musculoskeletal claims that you may experience. These services are more fully described elsewhere on this site and can be reviewed by following the links below. The above services can be blended and customized according to your needs. Our M-TEC program is a cost effective way for you, your employees, their spouses or dependents to communicate and receive help on any musculoskeletal problem they may experience. Our physical therapists will first determine if a referral to a physician or local physical therapist is in order. If not, the HCE physical therapist will explain the current condition to the patient and develop an intervention program. The intervention program is typically made up of education, exercise and follow-up contact points. So long as the patient is making satisfactory progress in a timely manner, the HCE therapist will continue to monitor the case and adjust the intervention program as indicated. If the need for “hands-on” care becomes apparent, the HCE M-TEC therapist can communicate with either your HCE On-Site physical therapist or the local HCE Approved Provider, and make the appropriate referral. When the immediate problem is under control, the case can be referred back into the M-TEC system for more cost effective and proactive follow up. On-site HCE physical therapists can do more than just evaluate and treat employees that develop a musculoskeletal complaint. The HCE on-site physical therapist can be involved in accident investigation, educational programs, job specific or customized group exercise programs, ergonomics, workflow redesign and management consulting services. On-site exercise specialists from HCE are responsible for administering the exercise prescription designed by the HCE on-site or M-TEC physical therapist. This is a more cost effective delivery system than having this level of service overseen by the physical therapist. Many employees will be placed on a home exercise program and followed up with in order to monitor progress and compliance. In the event that an employee, spouse or their dependent, needs to be seen by an outside physical therapist, the level of care SHOULD BE consistent with the HCE model. To this end, HCE provides clinical training programs to physical therapists across the Nation. We also consult with and provide professional oversight and guidance on specific cases that are referred to HCE Approved Providers. In most cases, the continuing education and professional oversight costs are paid for by the HCE Approved Providers, yet you and your employee receive the benefit. Once an employee has made sufficient progress with the outside provider, they can be transferred back to the on-site program or the M-TEC program.